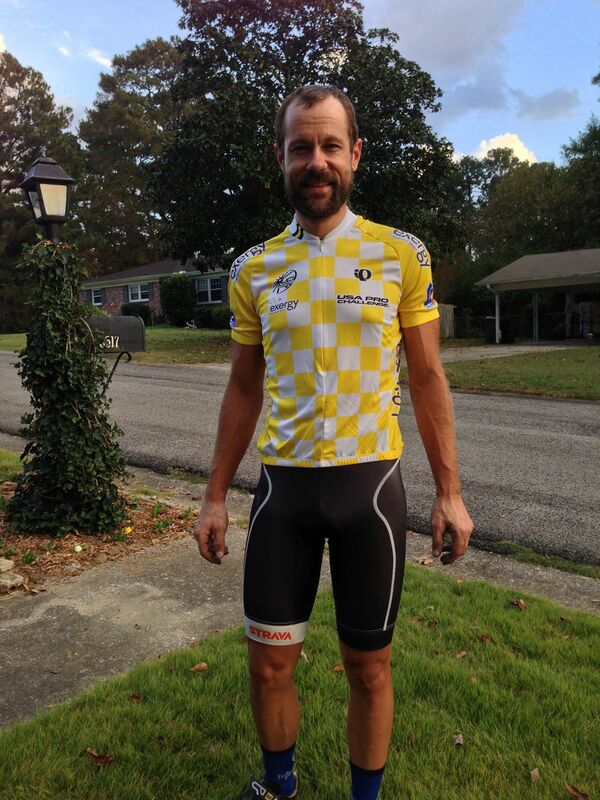 Six gap kom jersey today on the double oak cliffs – looks like I will be heading up to Dahlonega this weekend after all! I’m really excited about a last minute opportunity that has opened up for me to race Six Gap on Sunday. I won’t be able to make it up for the criterium, but I’ll be gunning for the fastest combined time on Hog Pen and Wolf Pen Gaps come Sunday morning. I first heard about Six Gap while I was racing at Clemson University back in 1996. Our faculty advisor mentioned it as a really cool ride to do in the North Georgia mountains, so I signed up for it and joined about 200 other people leaving from the North Georgia College gym. The thing I remember most about that ride was it being the first time I had ridden up into the clouds on a climb, and I remember thinking that must be how climbing Alpe d’Huez would feel. Fast forward 15 years, and I rode Six Gap again in 2011 taking the 35+ KOM by hanging onto Jimmy Schurmann’s wheel as long as possible on Hogpen. I won the really cool green KOM jersey that I wore again on my ride yesterday out to the cliffs at Double Oak here in Alabama. The next year, I was able to get the 35+ KOM again by hanging onto two wheels (Jimmy again and Christian Parrett) as long as possible. Six Gap had partnered with the USA Pro Cycling Challenge that year, and I ended up winning just about the coolest prize pack I’ve ever won – including an official yellow leader’s jersey and blue kom jersey from the USA Pro Challenge. 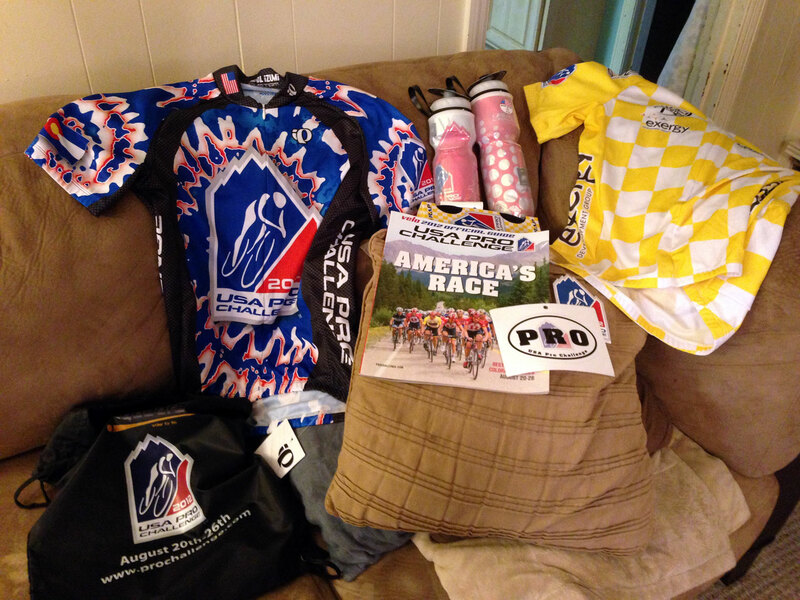 USA Pro Challenge Prize Pack for winning the 2012 Six Gap KOM prize. Can’t wait until Sunday to give it another go at winning the 35+ KOM jersey!!! (I can’t keep up with the young climbers anymore!) Also, I’ve got something special planned for the day that will make it “extra epic”. Hope to see everyone up in Dahlonega this weekend. This entry was posted in Adventure, Racing and tagged gran fondo, mountains, sixgap on September 24, 2015 by kartoone.